Users of the Ninja OBC and Map Pilot can upload the untagged images that are taken by the Sony a7R (or other) camera along with the associated Map Pilot CSV log files and Maps Made Easy will insert the most accurate geotags possible into the images. The tagged images are given back to the user via a link to a downloadable zip file.  The Maps Made Easy Tag Fixer system is usually used to adjust the altitude of the uploaded images to reflect an above sea level value instead of a GPS derived one. This makes the elevations of the processed DEM much more accurate. The Ninja OBC triggers the on-board camera based on distance. Assuming there is an active telemetry connection back to the remote and mobile device, every time the camera is triggered a signal is sent back and the Map Pilot log file is marked. The Tag Fixer will look for these marks and correlate Map Pilot's timestamps with those embedded in the taken images. This information is then used to pull the aircrafts position from the log file and insert it into the aerial image.  This process will work with images and log files taken during multiple flights. The instructions on the Tag Fixer page only refer to the normal DJI-based geotag fixing process. Takeoff Info - Select "Yes". Hit Next. Select Images - Check the boxes, select at least 30 JPG images and the CSV log files from those flights for upload on the "Select Images to Upload" button, hit Next. Test EXIF Tags - Choose File button and select one of the Images that were selected for upload. Hit OK on the EXIF tag warning. Check the box in the Verify EXIF Information box. Hit Next. Verify Images - Check the box in the Image Check box. Hit Next. Geotag Check - Check the box in the Verify EXIF Location box. Hit Next. Upload and Process - Check the box in the Final Review box. Hit Upload Now. The images will then be uploaded and you will receive an email with a link to a zip file that contains the geotagged images.